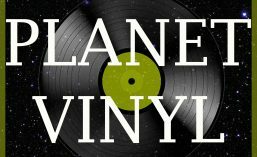 Unlike ordinary vinyl records, which are quickly formed from lumps of plastic by a mass-production molding process, a so-called acetate disc is created by using a recording lathe to cut an audio-signal-modulated groove into the surface of a special lacquer-coated blank disc, a real-time operation requiring expensive, delicate equipment and expert skill for good results. They are made for special purposes, almost never for sale to the general public. So it is exciting when one turns up: the lacquer is a glistening black, you can see the metal underneath, both in the centre hole and in the extra holes which were used to clamp the disc to the lathe, and the label tells you little, or nothing. This record, for example. Audex Royal is not a record label, just the company which manufactured acetate discs. One clue: a note on the battered paper sleeve instructs “use light pick-up”. This warning was only necessary when people were playing both old gramophone records and the new vinyl: the late 1950s. Beyond that, there is just the sound. It is a recording of a church choir, singing mostly Christmas carols. It is not a big choir, and although they are quite good there is nothing of the professional about them. The accompaniment is a single piano. No organ, and the ambient sound suggests a wooden hall, rather than a stone church or a studio. The voices are Australian, but there is a hint of some Welsh in there as well. I am guessing a dissenting Protestant suburban church choir.